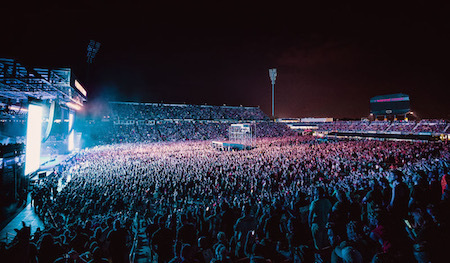 The 11th annual Rock On The Range was the festival's biggest year yet, with a sellout crowd of 135,000 in attendance May 19, 20 & 21 at MAPFRE Stadium in Columbus, OH. Though the weekend began with challenges due to inclement weather and the unexpected tragedy of Chris Cornell's passing, in the end the music and performances shone through. 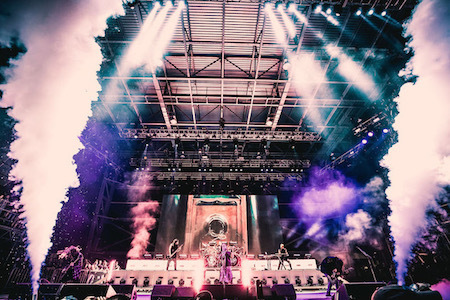 Through these challenges, Rock On The Range carried on, sets were rescheduled to accommodate the weather delays, and the weekend was capped by a first-ever ROTR performance from the legendary Metallica. Throughout the weekend, several bands paid their respects to the late Chris Cornell, who had been scheduled to headline the festival's opening night with Soundgarden. Live concluded their Friday night set with a cover of Audioslave's "I Am The Highway," which led immediately into a video tribute to Cornell in front of a nearly silent crowd, and a brief acoustic set from Stone Sour's Corey Taylor and Christian Martucci that included moving covers of Pink Floyd's "Wish You Were Here" and Temple Of The Dog's "Hunger Strike." Among the others who covered Cornell's work were The Pretty Reckless (Audioslave's "Like A Stone"), Bush (Soundgarden's "Black Hole Sun," into a cover of R.E.M. 's "The One I Love"), and Stone Sour (Soundgarden's "Outshined" at the Thursday night Rock On The Range Kickoff Party), while many more dedicated songs to Cornell, including Alter Bridge, who played the opening of The Beatles' "Blackbird" as a tribute to Chris and then went into their own song of the same name. Making their Rock On The Range debut, Metallica brought the weekend to a close with a blistering two hour set that spanned their 36 year career, from genre-defining classics like "Master Of Puppets," "One," and "Enter Sandman" to songs from their new album Hardwired…To Self-Destruct. As the legendary band exited the stage, drummer Lars Ulrich promised fans that Metallica would not take another 11 years to return to the festival. 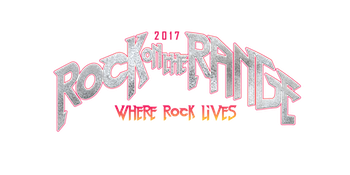 Rock On The Range producers would like to thank the "Rangers" for their understanding and cooperation with temporary evacuations and schedule changes due to weather. Safety is always the number one priority for festival attendees, bands, crew and staff. America's largest and most acclaimed rock festival featured nearly 60 bands on three stages, led by headliners Korn and Metallica, along with The Offspring, Volbeat, Primus, Bush, Live, Chevelle, Papa Roach, Seether, Coheed and Cambria, Alter Bridge, The Pretty Reckless, Taking Back Sunday, Of Mice & Men and many more. 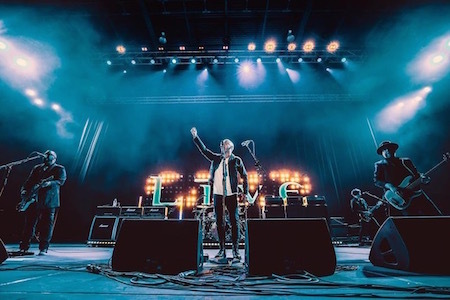 The Rolling Rock Comedy Tent featured sets from nationally known comedians such as Jim Breuer, Nikki Glaser, Tony Hinchcliffe and more, plus Columbus' top comedy talent. Throughout the weekend, fans enjoyed artist signings, meet and greets, exclusive acoustic performances, and more at onsite experiences including the Monster Energy Experience, the Jack Daniel's Experience, The Music Experience, FYE Fan Experience, Zippo Encore and others, along with a variety of Eat Local! and national food vendors at four separate food courts. Rock On The Range is supported by our rockin' sponsors: Monster Energy, Jack Daniel's, Zippo, Bud Light, Rolling Rock, StubHub, Repreve, The Ohio Lottery, FYE, The Music Experience, Deep Eddy Vodka, US Marines and Fxck Cancer. Precourt Sports Ventures, LLC (PSV) is a privately held investment and management firm focused on the sports-entertainment business, with a particular interest in the growing sport of soccer. As the Managing Partner, Anthony Precourt formed PSV in 2012. PSV currently owns and operates Columbus Crew SC of Major League Soccer and its iconic home: MAPFRE Stadium (pronounced "MAH-fray" Stadium). MAPFRE Stadium is the first ever soccer-specific stadium in Major League Soccer. It opened its doors on May 15, 1999 to a sellout crowd for a match and in 2016 Columbus Crew SC set single-season MAPFRE Stadium records for sellouts and total attendance. 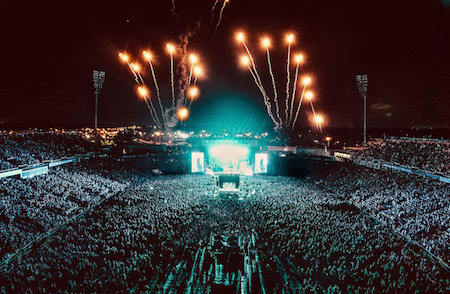 The venue continues to host numerous national and international soccer events while also serving as the proud home of the annual three-day festival Rock On The Range, which returns for the 11th installment in 2017. The venue was named the world's most influential stadium of the decade by Stadia Magazine in 2010, and has won a Sports Turf Managers Association Field of the Year Award in 2010, 2013 and 2015. MAPFRE Stadium received its current name in a historic partnership announced in 2015.